The ice cream company is holding a contest on social media starting today. Everyone wants to get in on royal wedding fever. The latest company to jump on the celebratory Prince Harry and Meghan Markle bandwagon? Brooklyn-based Ample Hills Creamery, which plans, for the first time ever, to create a royal wedding-inspired ice cream flavor. That’s right, not even the future king and queen of England, Prince William and Kate Middleton, were bestowed with such an honor. In order to pick the flavor, however, Ample Hills needs your help. 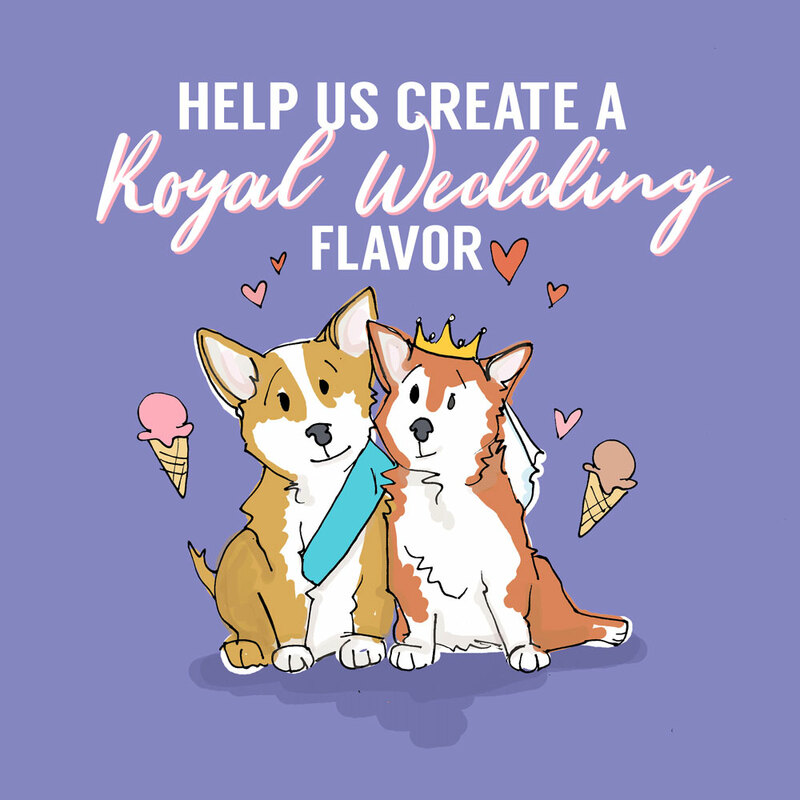 Today at 1 p.m. eastern time, the company is launching a contest on social media, which will give fans of both ice cream and the royal couple the opportunity to invent their own flavor inspired by the wedding, as well as a clever name to go along with it. Knowing that the royal wedding cake will be lemon elderflower topped with buttercream (baked by Violet Bakery founder Claire Ptak) perhaps the final ice cream will integrate those flavors. Or maybe, given that Markle is only the second American woman to ever marry into the British royal family (after the much more controversial Wallis Simpson), apple pie would be more appropriate. Bonus points if you can work in a reference to Prince Harry’s iconic red hair—maybe with a gingersnap swirl? Of course, Ample Hills has always had an edge when it comes taking part in big pop culture moments. The brand once held a contest during which fans could help choose a Gilmore Girls-themed ice cream, and recently released three limited-edition pints in honor of Star Wars: The Last Jedi. By the time the royal wedding actually takes place on May 19, Ample Hills will have unleashed its newest creation on the world. Just make sure you have enough stocked to serve it at your royal wedding viewing party.